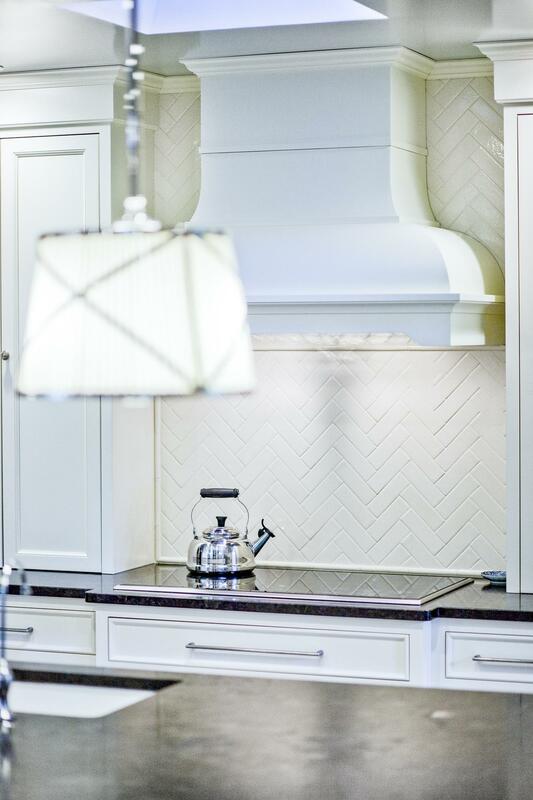 Bombay Beauty Kitchen: This busy family wanted a space to congregate and entertain but the home’s small, dark kitchen with outdated false brick and old cabinetry just didn’t work. The room lacked natural light and the dining room and kitchen did not flow as a doorway between the rooms had been sealed in a previous renovation. We removed a wall between the kitchen and study inviting light into the space and added a doorway into the dining room allowing the seating areas to be interactive. 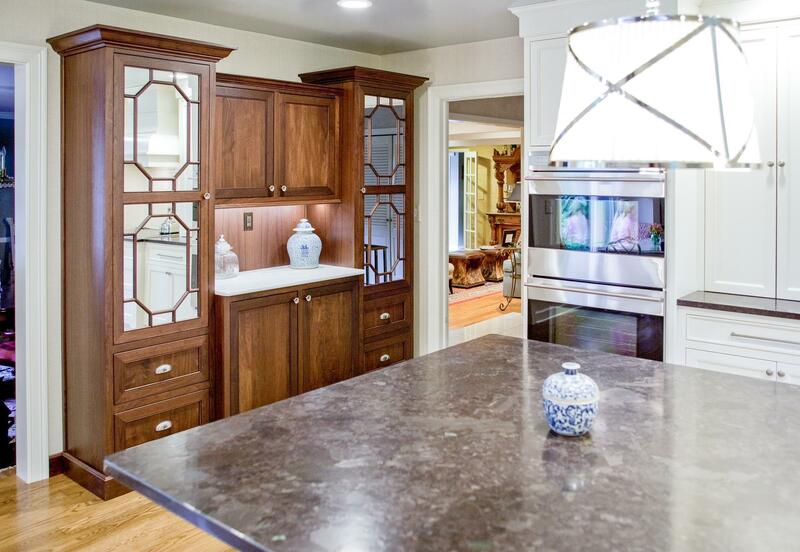 This change afforded the addition of a large island and a walnut hutch featuring a marble top with elegant, octagonal doors and mirrored-glass inserts bringing ‘Hollywood Glamour’ to the space. Stainless appliances and high-polished pendants contribute to the glitz and the dramatic Bombay hood serves as the room’s focal point. 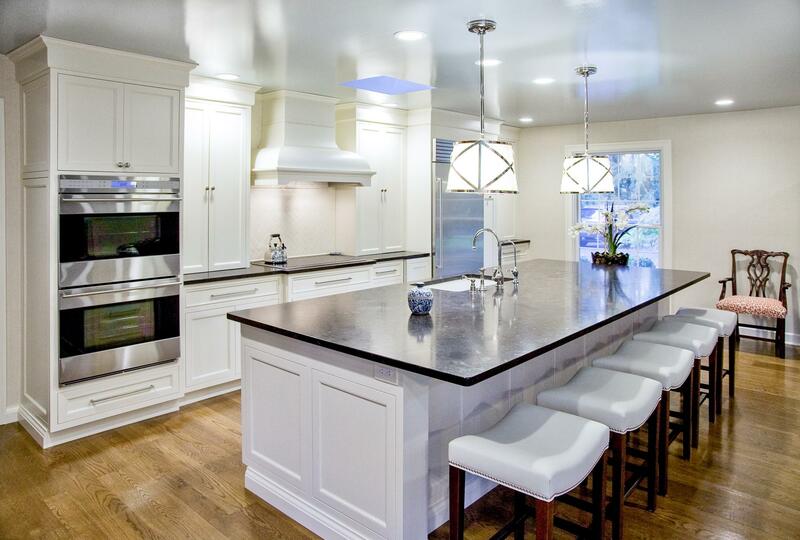 Smart use of space and valuable hours of client-designer interaction assured a beautiful and functional kitchen. Riverbend Master Bath: These clients have been wanting to tackle their master bath for many years. We think it was well worth the wait! It started off as an outdated space with an enormous platform tub open to the bedroom featuring a large round column. 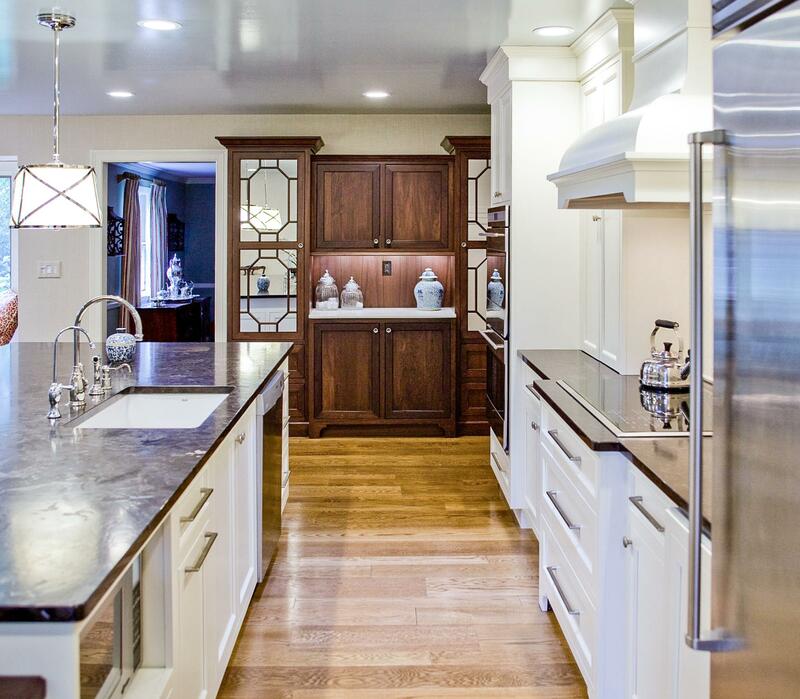 The open concept was inspired by island homes long ago, but it was time for some privacy. 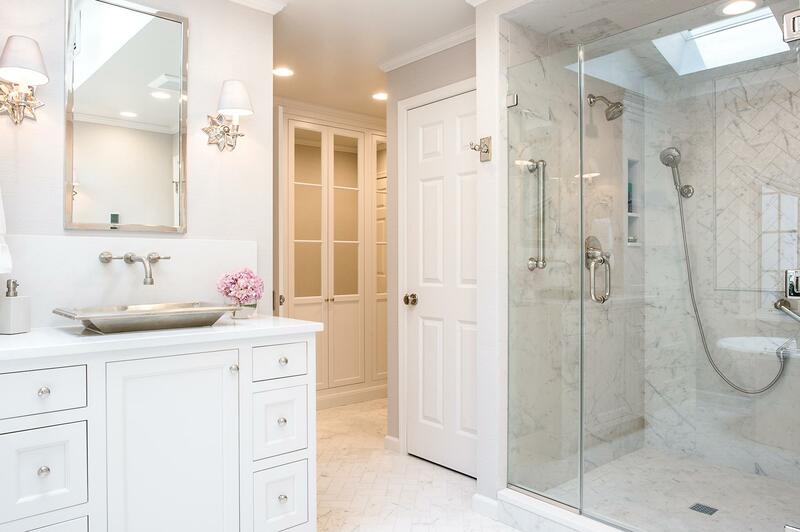 The water closet, shower and linen closet served the clients well, but the tub and vanities had to be updated with storage improvements desired. The clients also wanted to add organized spaces for clothing, shoes and handbags. 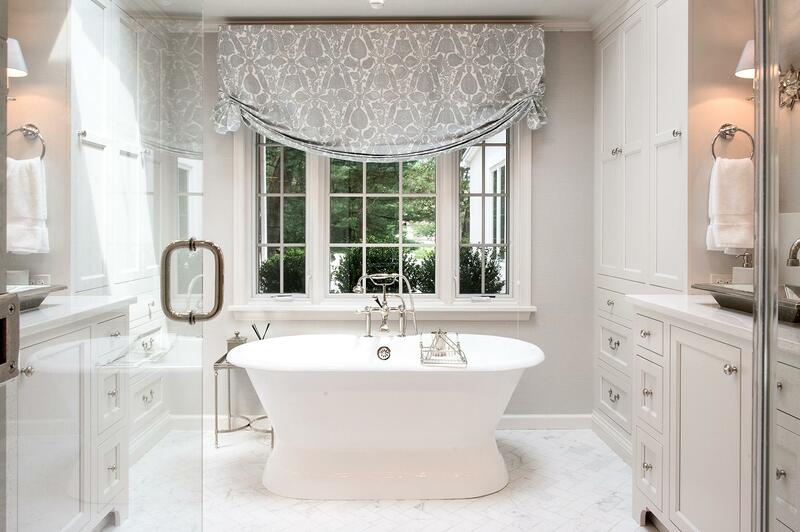 Swapping the large tub for a dainty freestanding tub centered on the new window, cleared space for gorgeous his and hers vanities and armoires flanking the tub. 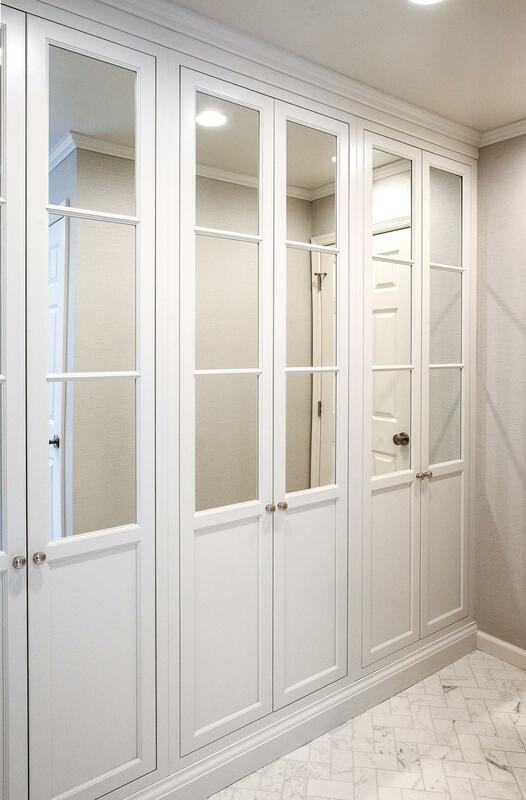 The area where the old double vanity existed was transformed into personalized storage closets boasting beautiful custom mirrored doors. 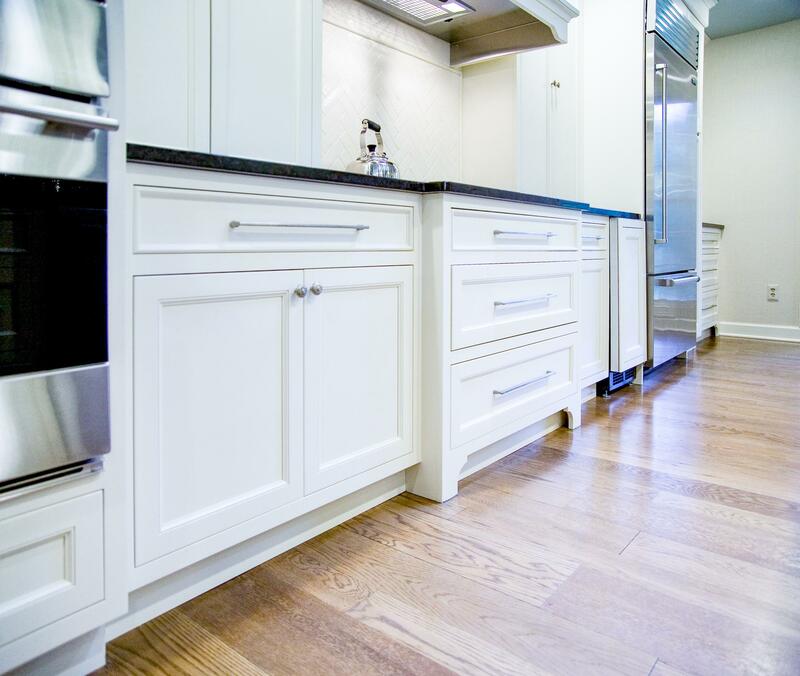 The bathroom floors and shower surround were replaced with classic white and grey materials. 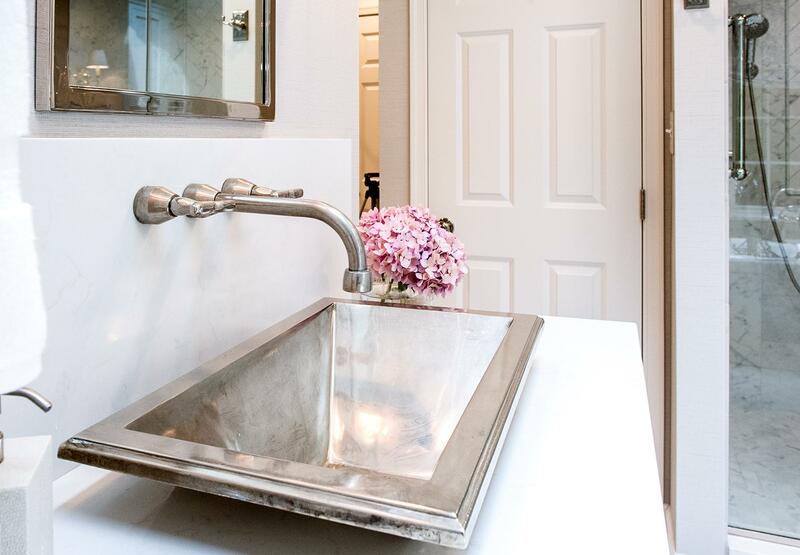 Handmade vessel sinks and faucets add a rich touch. 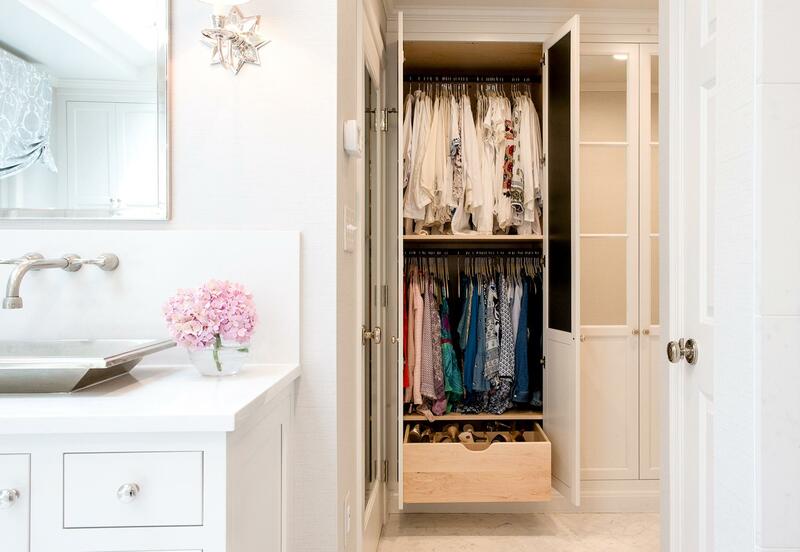 Soft brass wire doors are the highlight of a freestanding custom armoire created to house handbags adding more convenient storage and beauty to the bedroom. 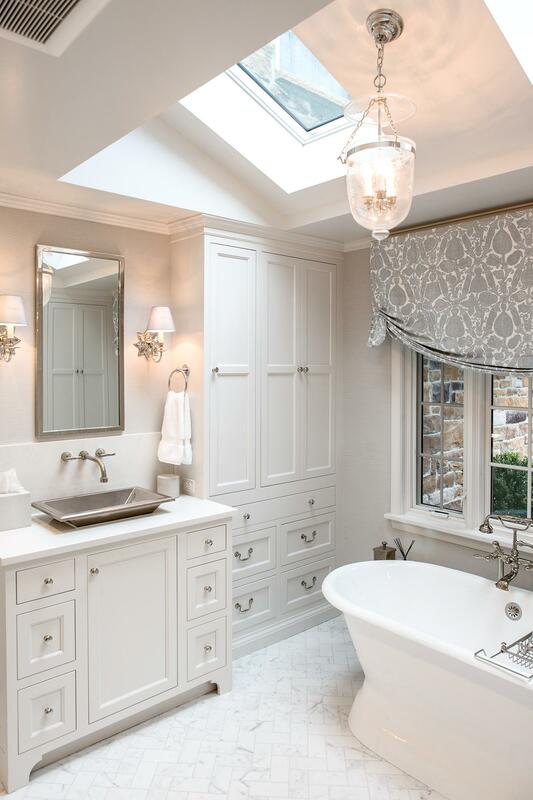 Star sconces, bell jar fixture, wallpaper and window treatments selected by the homeowner with the help of the talented Lisa Abdalla Interiors provide the finishing traditional touches for this sanctuary. 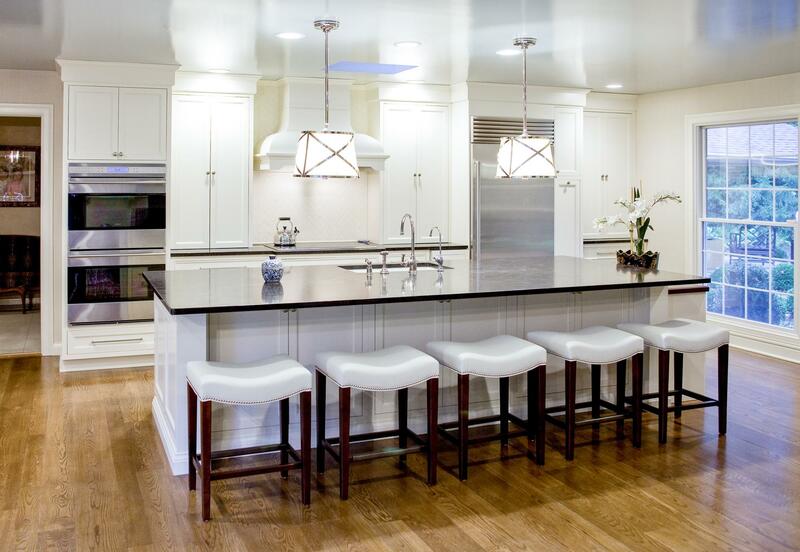 "Jill at Jarrett Design designed the kitchen of my dreams! She was incredibly knowledgeable and a pleasure to work with. She has beautiful taste and was easily accessible!"